I have worked in the IT profession since 1988. During this time I have helped more than 364 companies worldwide secure their networks, build data and voice infrastructure, as well as create software and design network hardware. I have held positions as a Software Implementation Engineer, Sales Support Engineer, Software Engineer, Firmware Architect, Network Engineer, Technology Consultant, Chief Information Officer and Chief Technology Officer. My specialty has been on efficiency, security and compliance. Over the years I have authored dozens of information technology white papers on the subject of security and compliance. Most recently I have authored a a book on network security for the home and small business titled “HOW TO BE SAFE AND ENJOY: NETWORK SECURITY FOR THE HOME AND SMALL BUSINESS.” available at http://www.amazon.com/author/mathewcolona. This blog is about technology. I may from time to time write about my other passion, Golf. I enjoy playing Golf. The serenity of the Golf course, the focus of hitting the ball and of course the company of my fellow golfers are a great escape from the rest of the world. 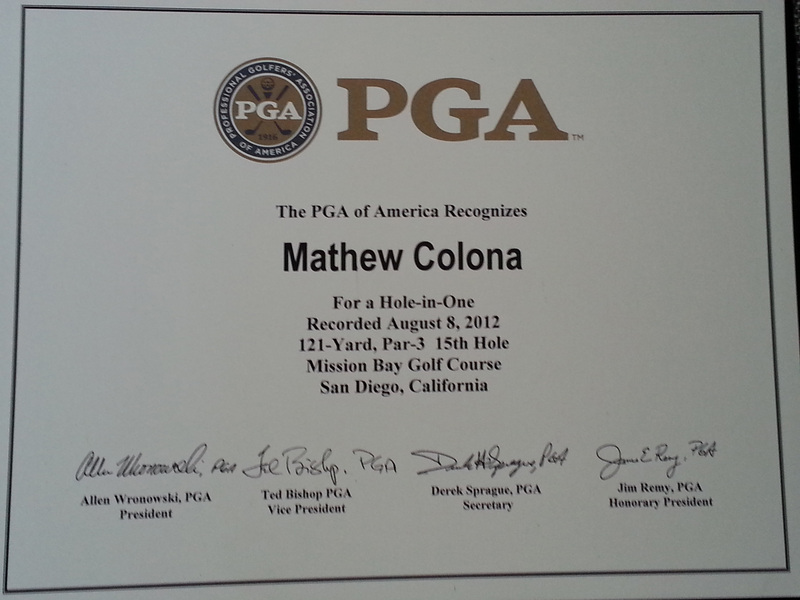 Since getting a hole-in-one Golf has become my only pursuit outside of technology and family. While I believe very strongly in personal privacy I will endeavor to keep this blog nonpolitical.